Dr. Shokar and her team will begin the effort by organizing a convoy to visit a 19-county area between now and December. 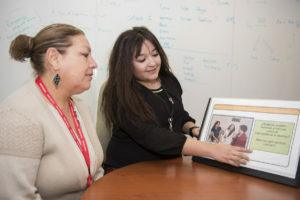 The TTUHSC El Paso team will offer cervical cancer prevention education, including a bilingual educational video, and free cervical cancer screenings to qualifying residents. During the visit, the team will also provide training for local nurses and community health workers to increase awareness of cervical cancer, its symptoms, and common barriers that women in these communities face to get access to cancer screening and care. Dr. Shokar’s ultimate goal is not only to have more women screened, but also to educate Hispanics about the importance of regular pap smears for early diagnosis — when cervical cancer is most curable — thus, saving more lives.